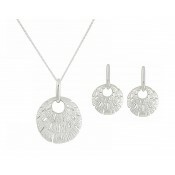 The perfect duet, this ladies jewellery set has a timeless appeal. 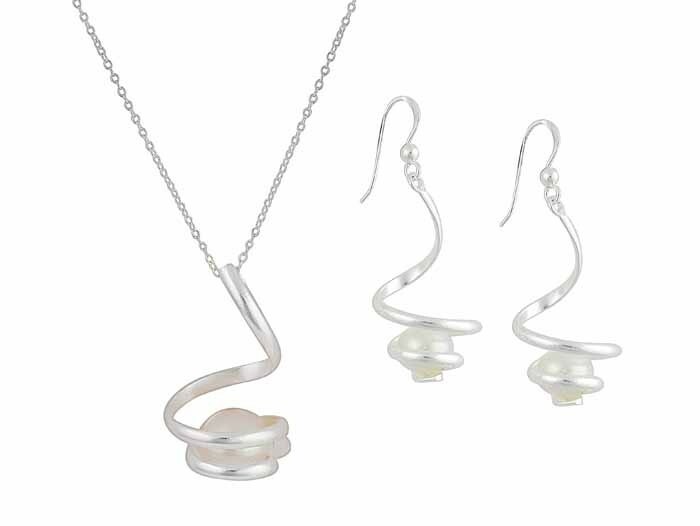 Crafted from sterling silver, it features a necklace and matching pair of drop earrings. 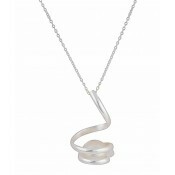 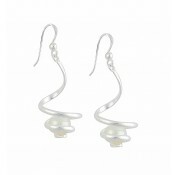 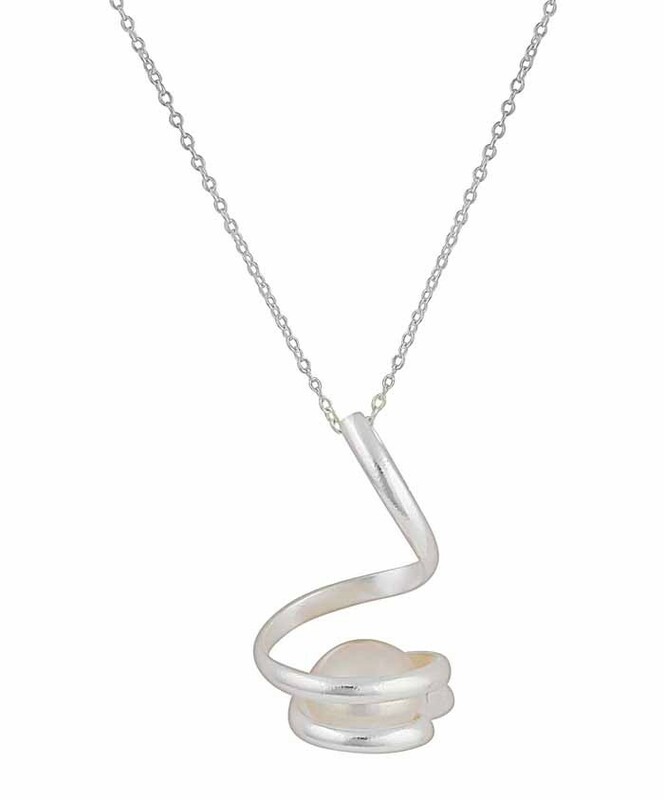 On each item, a twisted bar of metal wraps protectively around a single Freshwater Pearl. 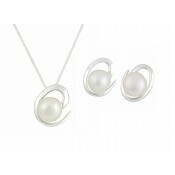 Beautifully elegant and understated, it is the perfect option for every single event.